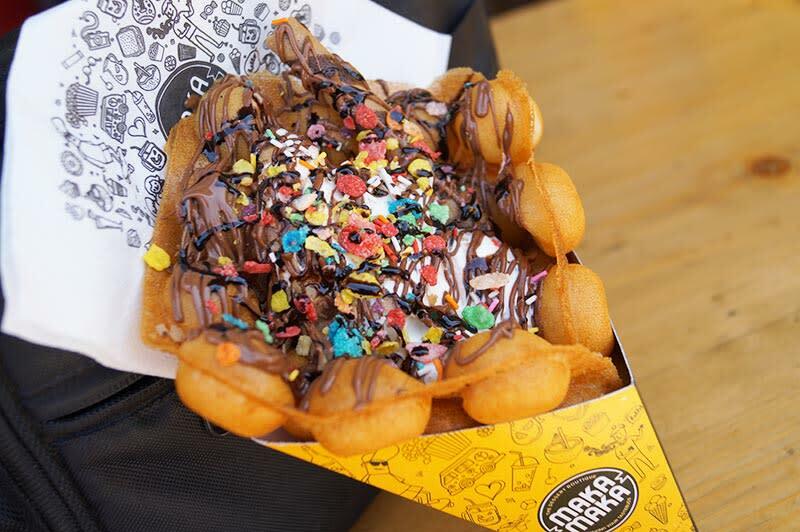 We've Hunted Down 10 #AwesomeSauce Places Serving Delish Bubble Waffles! If Delhi’s millennials get to choose their dessert of the hour, they’ll definitely name waffles as their go-to sugary goodness. 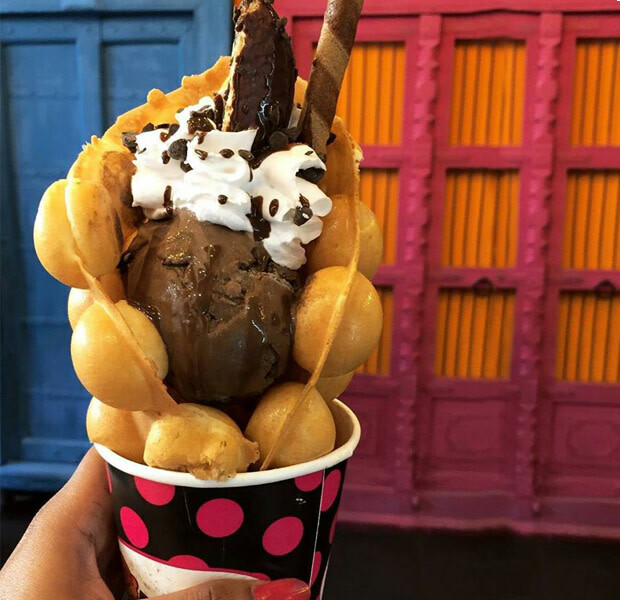 With the range of innovations seen in the city that have made their way into our hearts - be it waffle-sandwiches, freak waffles or Belgian waffles - we can’t help but get excited over yet another variant, the bubble waffle. Equal parts fluffy and delicious, we definitely can’t get enough of this delish trend! We rounded up a list of eateries serving this delicious sweet treat, so scroll on, bookmark these places and thank us later! We rounded up a list of places serving this delicious sweet treat, so scroll on, bookmark and thank us later! Oh you’re gonna love this one! These corn based, healthy bubble waffles are just what you need for all your waffle cravings. These guys have an amazing variety of bubble waffles like Oreo, Jelly, Gems, Kiwi, Chocowafl & so much more! You can also add in toppings like whipped cream, sprinkles, chocolate and mango to make them even more delicious! This place serves some of the most scrumptious waffles in town. The oh-so-tasty bubble waffles here are made fresh right in front of your eyes and served in easy-to-carry cones. These cones are then laden with scrumptious toppings. We definitely recommend the Oreo Wow and Nutella Wow Waffles here. Also, to wash these waffles down, don’t forget to order from their awesome range of mocktails and freak shakes! This place is nothing short of a dessert paradise! Along with the wide range of sugary goodness available in their store, they’ve recently added bubble waffles to their drool-worthy menu. Choose from Nutella Craze Bubba, Candy Love Bubba or Belgian Chocolate Bubba, all three flavours of their Bubba Bubba Waffles are delish AF. In case your sweet cravings demand more, don’t forget to try their famous Stoned Sundaes while you’re at it! With the awesome range of cuisines served at this resto-café, what better way to end your binge sesh than with some delish bubble waffles? 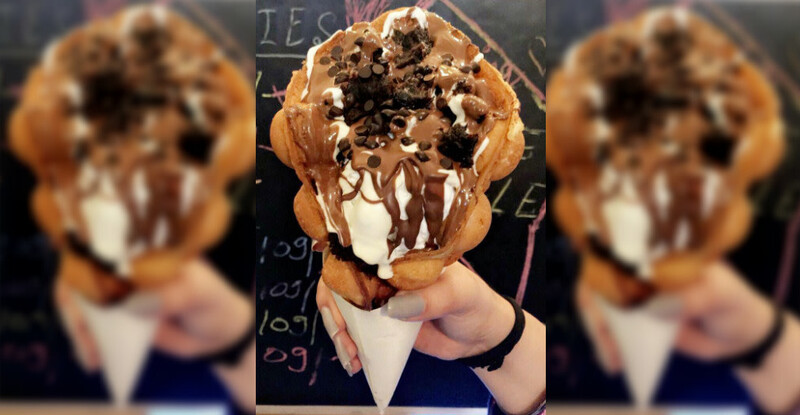 We can’t help but love the oh-so-soft waffle cones served here with a range of delectable toppings - from the evergreen Nutella to Cadbury Gems, Oreo Crunch, Red Velvet, Banana Crunch and SO much more. We bet you won’t be able to choose just one! This brand new dog friendly café serves some really Instagram-worthy bubble waffles in bright hues! Be it their Nutella, Strawberry Surprise or Chocolate Overload Waffles - we simply cannot wait to scamper over and devour all these. On top of that, your fur balls too, will get to munch on some awesome treats. It’s a win-win all the way! These guys have a super special and awesomely delicious Nutella Brownie Bubble Waffle and we’re totes loving it. 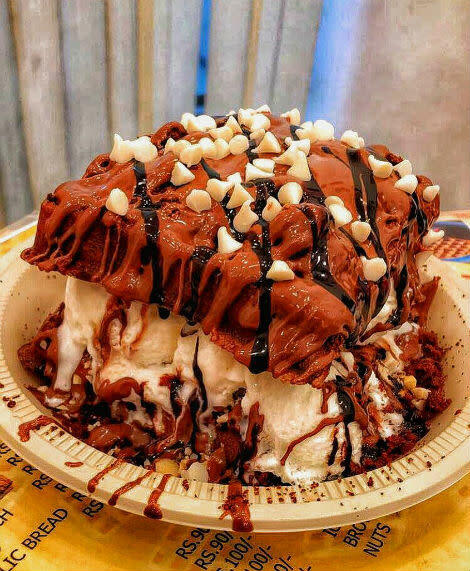 The bubble waffle has ice cream scoops on it and comes topped with bite sized brownies, chocolate sauce and chocolate chips. C’mon, you gotta try this one, guys! We love this cutesy place for its decor and the HUGE variety of waffles that it serves. 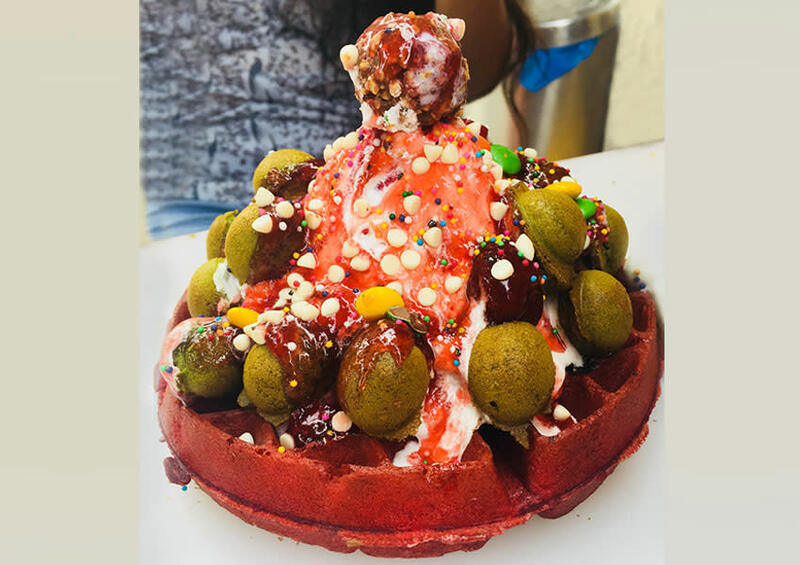 And while you may still not be over the last waffle you ate, we say you move over and try their Paan 360 Waffle that’s basically every waffle lover’s dream come true. In addition to the usual delights, this one has an additional flavour of paan to it, which makes it our personal fave! 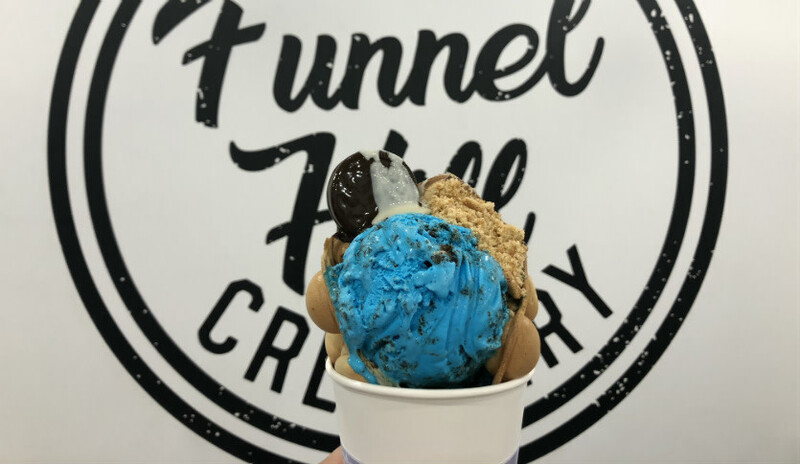 Funnel Hill Creamery does an awesome sauce waffle that comes with a nice big scoop of blue-hued Cookies & Cream ice cream, encased in a warm vanilla bubble waffle! The ice cream is loaded with Oreo and chocolate chips on either side and you can taste them distinctly. We’d say you take a friend along to gobble up this sweet delight from start to end! 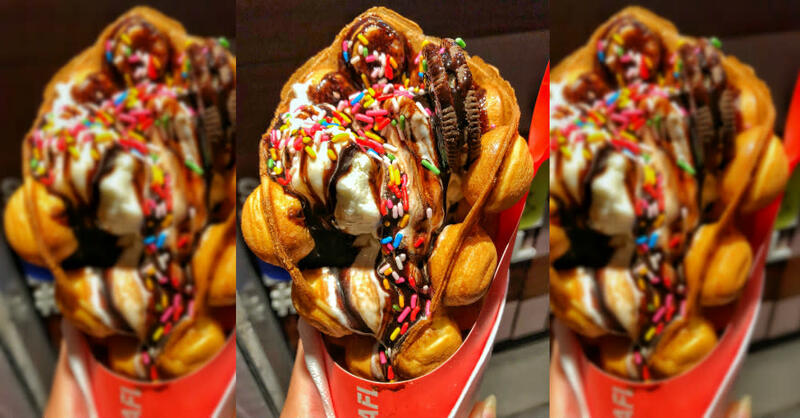 The Special Bubble Waffle at Moffle Waffle is a complete meal in itself, ‘cause it’s basically a waffle sandwich topped with tons of Nutella, two generous scoops of vanilla ice cream, pretty sprinkles and chocolate brownie crumbles. So make a beeline straight here and wolf down this deliciousness! 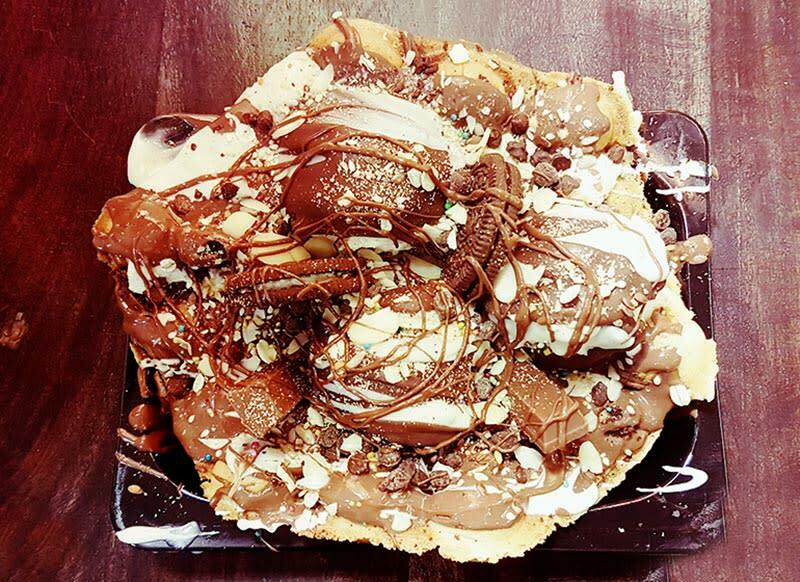 Oh, this one’s a monster and goes by the name of Ferrero Pyramid Bubble Waffle. 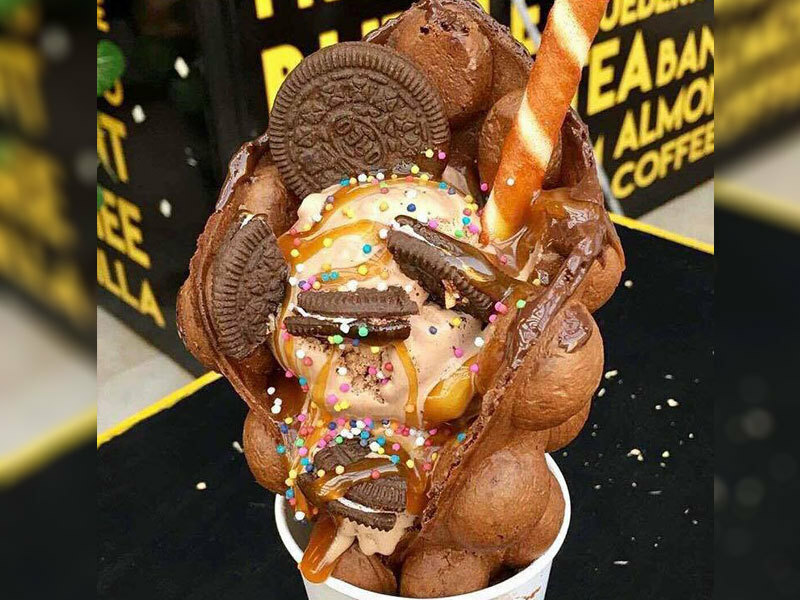 The waffle at the bottom is almost like a bed that’s filled with loads of ice cream, bubble waffles, strawberry cooli, Ferrero Rocher and some cutesy sprinkles. So, throw all your diet plans outta the window, take your bhukkad buddies along and attack! 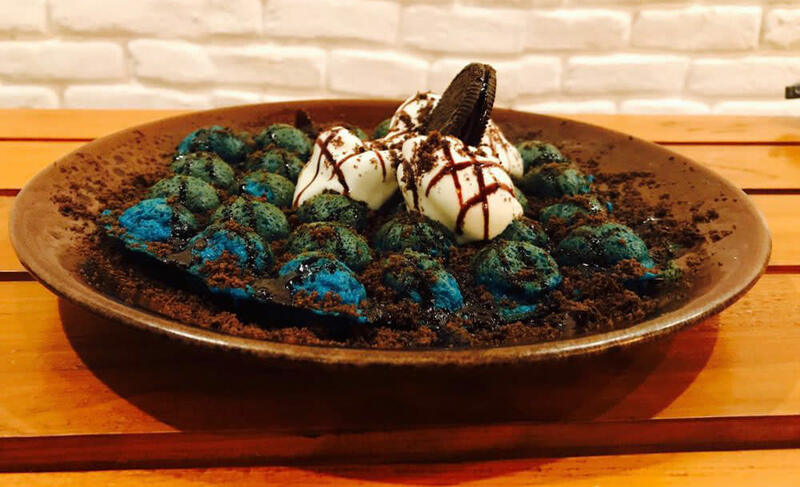 So, make the weekend count and dig into these scrumptious and totally ah-mazing bubble waffles doing the rounds!